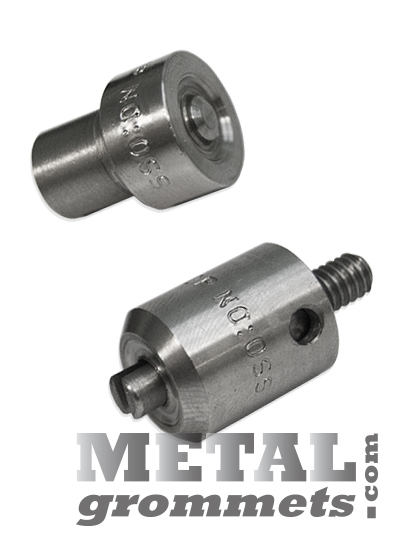 Patent-pending self-cleaning setting dies used to attach ClipsShop self-piercing metal grommets & washers. 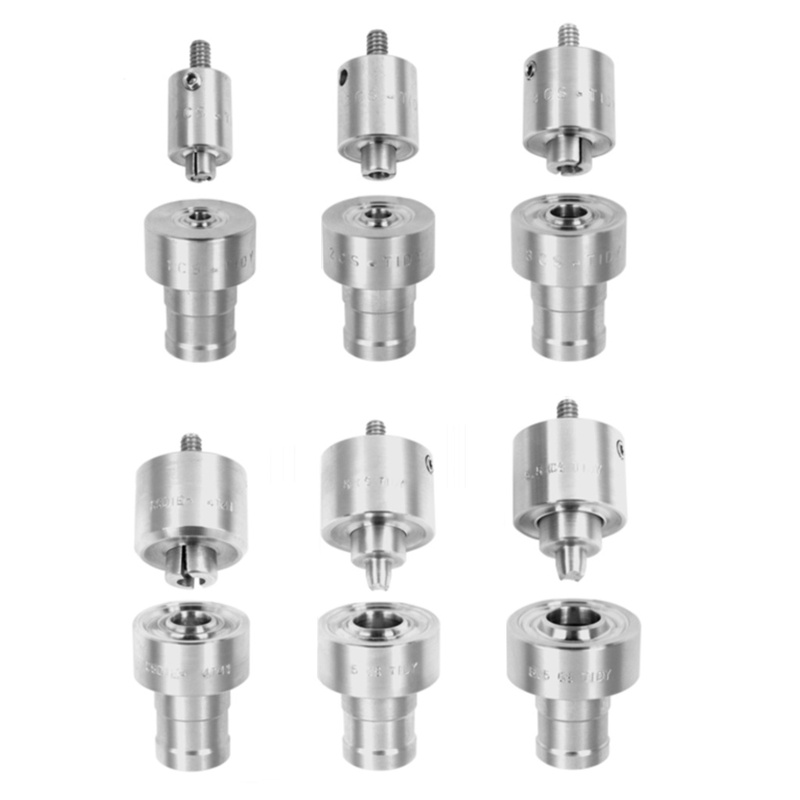 The proprietary grommet dies are made from professional grade stainless steel in grommet sizes #1, #2, #3, #4, #5 and #5.5 to be used with non-rusting self-piercing grommets with hole sizes 5/16, 3/8, 7/16, 1/2, 5/8 & 11/16 ID. 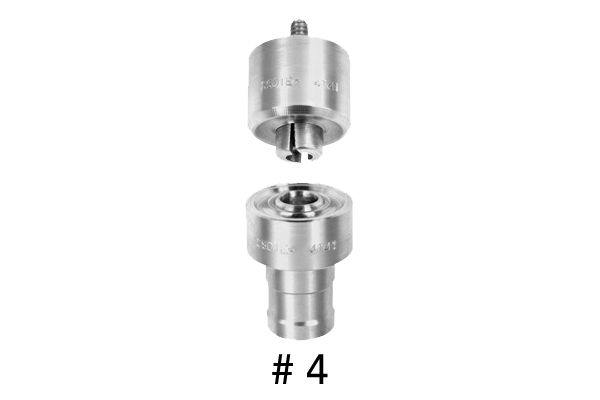 Self-cleaning grommet dies from ClipsShop are compatible with the CS-TIDY-41 and CS-TIDY-51 professional-grade portable pneumatic grommet machines. Add ClipsShop self-cleaning grommet dies to your cart from the list below. 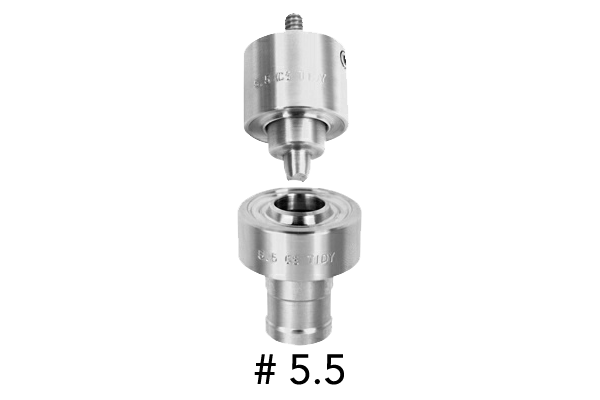 Click on a product name or image for more detailed information about the item including price breaks (when applicable). 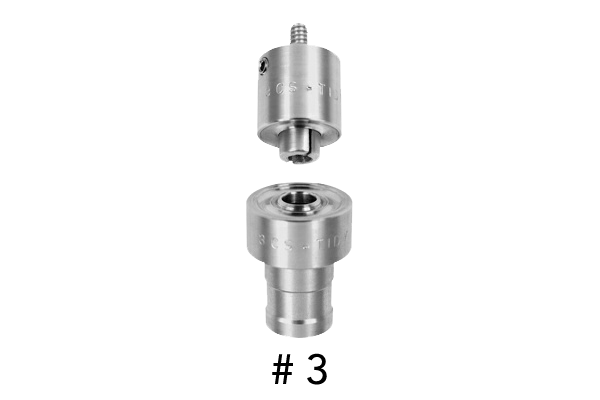 Each 2-piece self-piercing grommet attaching die set is precision CNC-machined from stainless steel. 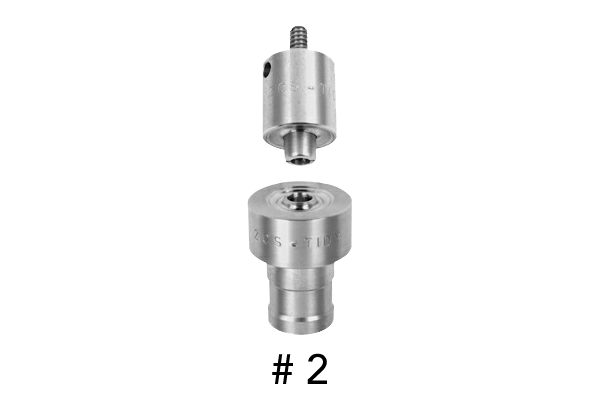 The top die threads in to the grommet attaching pneumatic machine cylinder and is spring loaded to hold the non-rusting solid brass grommet in place before application. 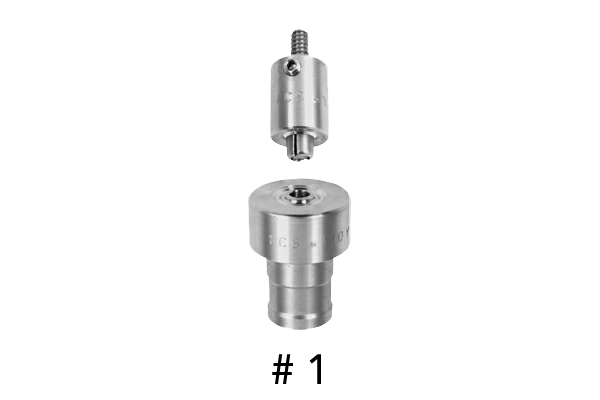 A set screw securely holds the bottom die to the base of the grommet press. A metal brass washer is placed in the bottom die below the work material substrate. The bottom die is hollow in the middle to allow the scrap slug chad of material to collect neatly into a small drawer below (on most materials). 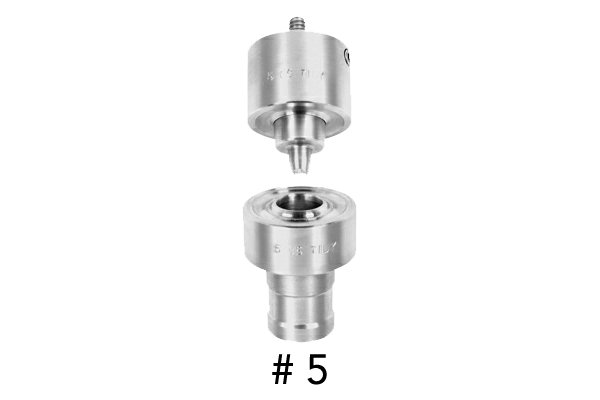 The CSTIDY series of pneumatic grommet setting machines are compatible with 6 sizes of self-cleaning grommet attacher dies, 10 sizes of regular self-piercing stainless steel setting dies #XX00 to #5.5 and 2-step combination piercing & setting dies for #7.5 and #8.5!